The organised labour in Ekiti on Thursday began an indefinite strike to press home the demand for the outstanding five months salaries of workers. All government offices were shut as workers stayed away from work. 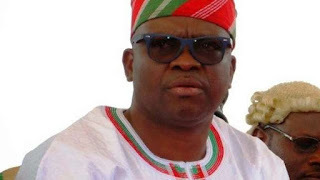 The strike followed the expiration of the 48-hour-ultimatum issued by the Nigerian Labour Congress, Trade Union Congress and Joint Negotiating Council to Governor Ayodele Fayose to pay workers’ salary deductions for December 2015. The workers’ demands also include the release of the staff audit and verification conducted in April , 2015, disclosure of the state monthly internally generated revenue, payment of arrears of five months salaries pension and gratuities, payment of September 2014 salary to primary school teachers and payment of 2014 and 2015 leave bonuses. Others include implementation of promotion for 2013, 2014, 2015, approval of inter-cadre transfer, remission of10% IGR to local government and stoppage of Joint Allocation Committee’s account, resuscitation of Local Government staff pension fund and release of running grants. The labour union had earlier issued a 24-hour-ultimatum last week before the commencement of the nationwide strike declared by the NLC. But the governor in a state broadcast on Thursday said he had no immediate solution to the demand of the workers because of the financial challenges facing the state. He said workers monthly wage bill is currently over N2billion whereas federal allocation kept reducing from almost N3billion to as low as N751m in April. “Right now, I’m helpless. It is difficult to sell myself, my family or my property. I can only depend on what I get from Abuja. I want workers to understand that it is my priority to make them comfortable. “Even before going on their strike, I got to know that many of them no longer come to office while many others were coming late to office. Why I refused to come hard on those involved was that I had no moral justification to do so since I knew we were owing them. “Even in Government House, we don’t have money to power generators with diesel, whereas, I cannot sell myself or members of my family to raise funds, things are that difficult,” Fayose said. But the NLC Chairman, Raymond Adesanmi in an interview said there is no going back on the strike. “We have made our legitimate demands and tabled them before the government, so there is no going back.